Presented in collaboration with our partners at . BERMUDA — It's December and you haven't yet figured out your holiday plans. That doesn't mean you'll be stuck at home with laundry and leftovers. Not when Bermuda is waiting. It is so close (just a two-hour flight from major East Coast gateways), so interesting (great ethnic and cultural diversity), so engaging (from pink-sand beaches to historic towns), and so fun. 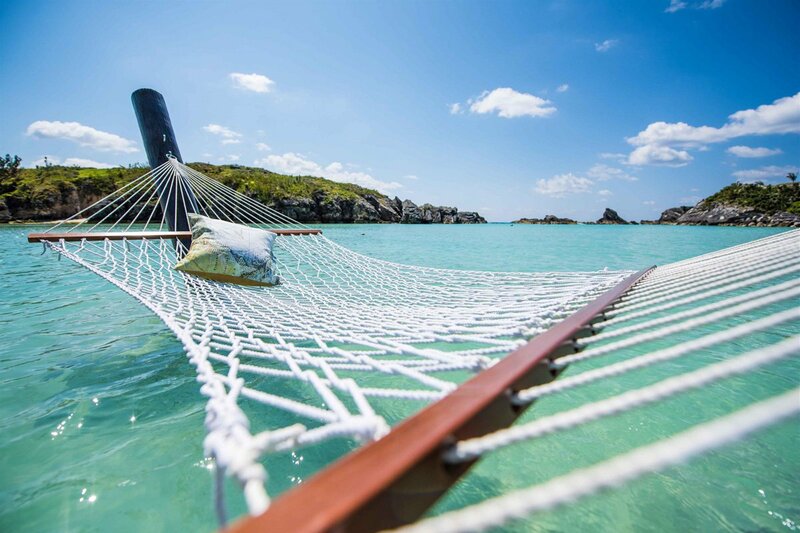 Once you've read this list, you'll realize you'd rather be out here in Bermuda — not just for the holidays, but anytime. Whether you're a seasoned sailor or an aspiring skipper, Bermuda is the ideal place to hone your skills with a private lesson. It's in the DNA: Founded by a crew of shipwreck survivors, Bermuda is still in love with the sea four centuries later and hosted the prestigious 35th America's Cup in the summer of 2017. 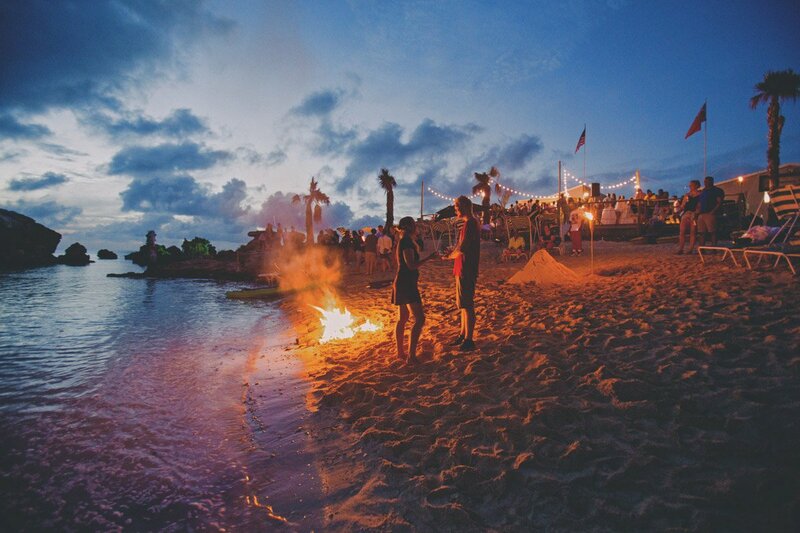 Do spend a sunset on the water, cocktail in hand on a chartered sailboat. The is a 70-foot catamaran that offers a variety of charter options for seeing the island by sea. Those problems you left at home feel farther and farther away, don't they? Funny that. Speaking of back home, it may be chilly there, but it's warm around here, especially at the bonfires that happen after dark on , which is also the historic site where Bermuda locals helped American revolutionaries steal British munitions in the Gunpowder Plot of 1775. The City of Hamilton rings in the season with the lighting of the tree ceremony on November 23, the night before charming colonial town comes alive with an incredible light display and festival of their own on November 24. A few weeks later the towns light up their shorelines with the St. George's inaugural boat parade on December 1 and the annual in Hamilton Harbour on December 8. Take several glittery, feathered headdresses, add painted masks and colorful velvet capes, then throw in bells, whistles, and mirrors to ward off evil spirits — and you have the makings of a . The Afro-Carib-British-Native American tradition dates back to the early 1800s when slaves danced in the streets on their day off after Christmas, using the costumes to hide their identity. They make regular appearances on Tuesday afternoons at Pier 6 in Hamilton and at special holiday events like the Santa Claus Parade on November 25. But they really strut their stuff on Boxing Day, December 26. Ever wonder what a skirl is? Find out when you watch the Bermuda Islands Pipe Band drum, bagpipe, and dance in the Skirling Ceremony at Fort Hamilton, every Monday at noon. Tell the kids that the big man knew exactly what he was doing when he traded the North Pole for the pink sands. Santa Claus makes seasonal appearances throughout Bermuda, most prominently at the Santa Claus Parade on November 26 and the family-friendly festival in Kings Square in St. George's the evening of December 2. Reassure the tots that he then heads back to the workshop to make sure the toys are ready for on-time delivery. Bermuda, with than anywhere else, is an island that loves its links year-round. The holidays bring two special events: is an 72-hole stroke play championship held November 26-30 at Belmont Golf Club & Port Royal Golf Course. Teams from the United States, United Kingdom, and Canada compete on Bermuda's best courses at the , the oldest Pro-Am tournament in the world, held at Tucker's Point Golf Club December 2-5. The definitive event of the holiday season is the on December 7, when the homes in the Town of St. George, a UNESCO World Heritage Site, are open for visitors to enjoy their beautiful interiors, Bermuda fish chowder, mulled wine, as well as local crafts and holiday shopping, with historical re-enactments and carolling along candlelit streets. What with all that dancing and golfing and drinking and touring, you need a break. Take it at beautiful Horseshoe Bay on the South Shore in Southampton. You'll immediately see why it's one of the most photographed beaches in the world, but all you have to do is sink your toes into the pink sand and enjoy it. If you're feeling active, you can head down the sandy trails of to , spotting coral reefs and shipwrecks along the mile-long route. Want to relax even more? Go down into the ancient Prospero's cave for a hot stone massage by candlelight in your floating cabana at . No, you're not dreaming. This is really happening to you. It's not just about beaches and rum cocktails out here. Bermuda has a mysterious side, too. Hear the ghost stories from storytellers in period costumes on an after-dark through the winding alleys of St. George's every Thursday at 7. Then learn the secrets of the Bermuda triangle — it's really a thing! — through an immersive exhibition that mixes history and science at the (Bermuda Underwater Exploration Institute), open daily. Bermudian cuisine is varied and rich, centered (no surprise) around seafood. The can't-miss dishes include the traditional Sunday codfish breakfast, served with boiled potatoes, onions, bananas, and egg, topped with a tomato or butter onion sauce. Make a morning of it at , , and restaurant at the for an upscale atmosphere with views of the ocean. The cake version of this incorporates rice, peas, thyme, onion, and bacon in a Bermuda Fish Cake. 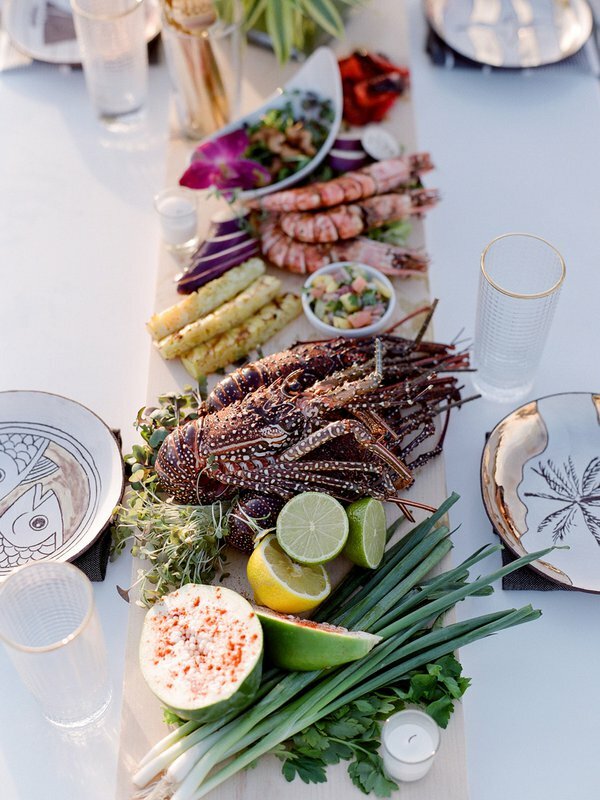 Spiny lobster is available from September through March and is served in chowder, tacos, or simply grilled at , , and . Whatever you eat, you'll want to pile on the traditional local side dishes like Hoppin’ John (aka peas 'n' rice), paw-paw casserole with papaya, and cassava pie, a sweet cake made with shredded cassava root layered with chicken. Polish off the meal with buttery Bermuda black rum cake, and don't forget the cocktails: Rum Swizzles and Dark 'n' Stormies made with Barritt's Ginger Beer, the preferred island soda since 1874. If you'd rather stick to wine, order Raft Up Rosé, made especially in Provence for , local importers and retailers. Have a holiday to remember by joining hundreds of locals and visitors for Christmas morning sunrise on Elbow Beach on December 25. Start with a glass of champagne and chase it with a plunge in the ocean. Santa hat optional, but highly recommended. Bermuda's biggest New Year's party is in King's Square in the Town of St. George. You'll find live music and entertainment and local snacks and drinks. The countdown itself stars the Onion Drop, Bermuda's version of the ball drop in NYC's Times Square. 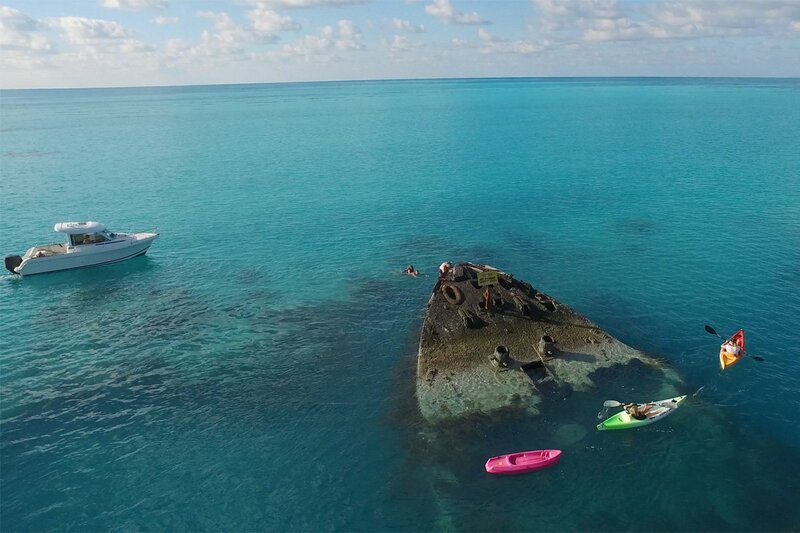 With more than 300 shipwrecks surrounding the island, Bermuda lays claim to the most shipwrecks per square mile in the world. (Those coral reefs are brilliant for snorkeling, but not so great for boat hulls.) Among are a Civil War-era paddle steamer and an impressive Spanish luxury liner launched in 1923. Arrange your visit with and . If you want to keep diving around the island's many great sites, you picked the right time: December through April is full wetsuit weather, with maximum visibility to 175 feet. While you're down there, thinking back on the year you've just had, you just might realize that compared to some, you've got it pretty good. After you've explored the depths, take your vacation adventure to the heavens, parasailing 250 feet above land or kiteboarding above the waves from Elbow Beach to Shelly Bay. Well then. Aren't you feeling inspired to make lofty New Year's Resolutions? 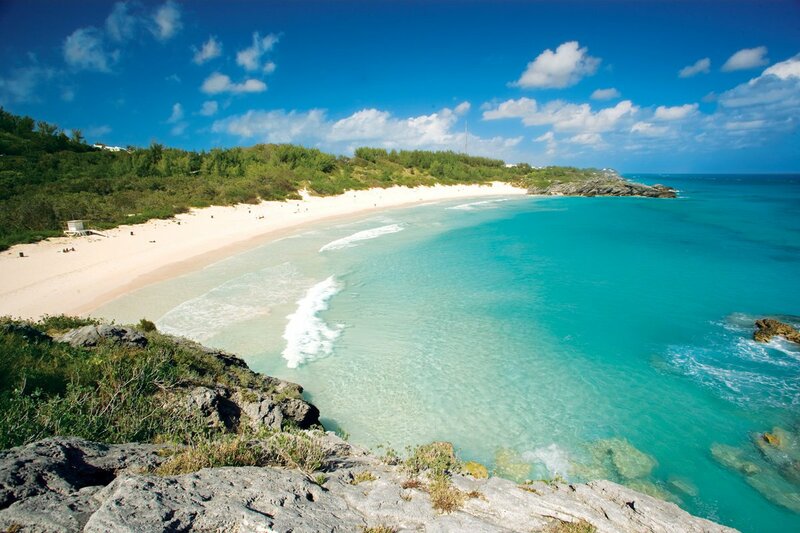 Find out which Bermuda is right for you, then .